© Sidney Maurer Stylized Original Art Portraits Exclusive Licenses by Celebrity Icons LLC. Without the participation of the celebrity or the estate. MDM as the largest coin trading house in the world is proud to exclusively present you a numismatic world premiere: The first officially licensed coins with the fabulous works of Sid Maurer. Every coin of the sensational series “Celebrity Icons”© is dedicated to a world star – in the form of a top-quality coloration combined with the most modern minting technology. Dynamic, many-faceted and masterfully executed: The American artist Sid Maurer (1926-2017) did more than simply portray famous personalities in his works – he celebrated them. This world famous Artist was unique in the way he brought alive his Pop Art influenced portraits of the greatest stars of sports, music, film and politics. Born in 1926, Sidney Randolph Maurer began his artistic career as an assistant art director at Columbia Records, one of the most prestigious record companies in the USA. Himself a talented musician, he was responsible for the artwork of top-class artists and in the course of his work collaborated with renowned designers such as Andy Warhol, among others. In the 1990s he shifted his focus to his own work as a freelance artist. He created sensational series of works with an enormous spectrum, which are exhibited in the most prestigious galleries in the world. His “Celebrity Icons” paintings represent a culmination of the tradition of portrait painting spanning centuries. 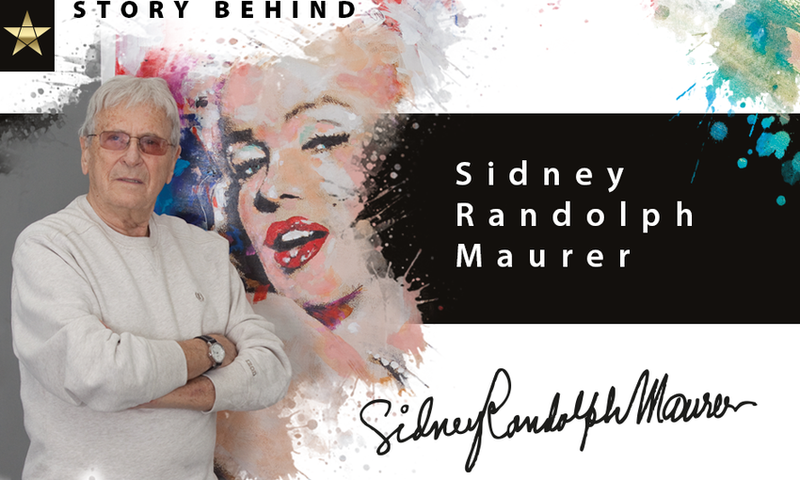 Anyone who had the honour of being immortalized by Sid Maurer truly belongs to the celebrated icons of the world.